While the new Democratic majority is sprawling and diverse, a coterie of outspoken, progressive women has seized Centre stage — and not always in a good way. Even as they deliver a jolt of energy, the freshman Furies, as they have been dubbed, are inclined to do and say impolitic things that give their colleagues agita. Fans find the newbies’ unconventional style refreshing. Sceptics find them reckless and fret that they will pull the party in an unpalatable direction, ideologically, stylistically or both. The idea that women are the key to a kinder and smoother-running Congress has been popular for as long as women have had a meaningful presence there. More than two decades ago, Sen. Barbara Mikulski, long known as the dean of Senate women, began organising monthly, bipartisan, women-only dinners in an effort to create a “zone of civility.” The concept of a nurturing, solutions-oriented sisterhood has endured, often fostered by the women themselves. Look at the Republican Party in recent years. For every low-key moderate like Rep. Elise Stefanik and Sen. Susan Collins, there is a Sen. Marsha Blackburn and a Rep. Liz Cheney — ladies every bit as edgy, combative and partisan as any guy. Looking for even more edge? We offer Sarah Palin. The new Democratic women representatives have wasted no time making clear that, when displeased, they’re willing to call out both the opposition and their own teammates. A heartbeat after being elected, Ocasio-Cortez and Tlaib backed a crusade by liberal activists looking to enlist primary opponents for more establishment Democrats. As the new majority was settling in, Ocasio-Cortez joined a sit-in at Pelosi’s offices in support of a Green New Deal. 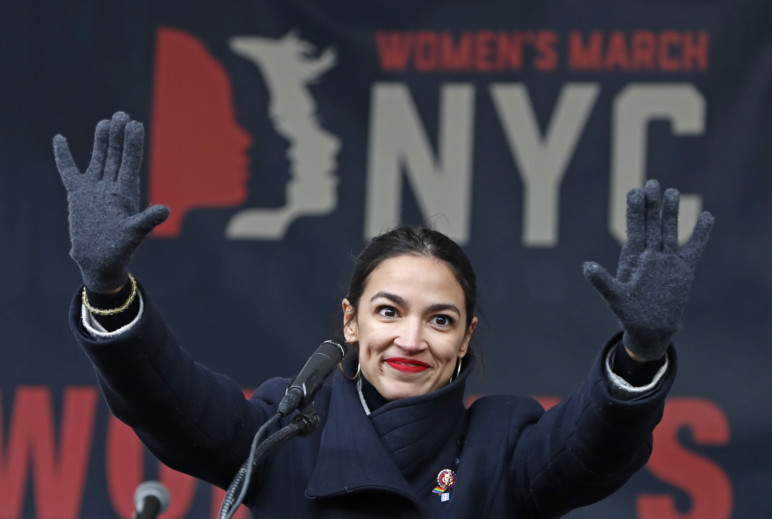 This month she chided Democrats for what she saw as an overreaction to Omar’s flirtation with anti-Semitic stereotypes. Tlaib, responding to Pelosi’s assertion that, absent bipartisan support, it was “just not worth it” to impeach the president, announced that she would be ploughing ahead with an impeachment resolution to be filed soon. In her first floor speech, Ayanna Pressley, the freshman Democratic representative from Massachusetts, railed against Trump, whom she dismissed as “the occupant of the White House,” breaching House rules and earning her a warning from the presiding Democrat. These hard-charging women also give the lie to the idea that, unlike men, they have no interest in the spotlight — that they are content to keep their heads down and get the work done. With their social media celebrity and assertive style, they recognise the value of branding — even if it rubs colleagues the wrong way, which it often does. This is not to say that women don’t bring anything different to the political table. They bring fresh perspectives and priorities and, often, different work styles. But the notion that they are operationally or characterologically — perhaps even morally — superior to men, is dangerous. While it may make for an appealing narrative, it sets up unrealistic expectations. The public is then dismayed when a woman takes a self-protective vote or comes across as nakedly ambitious or is rumoured to be a mean boss. So let’s hear it for the freshmen Furies in all their abrasive, ambitious, in-your-face glory. If they can chip away at the pretty little myth of women as political saviours, they will have done a service to us all.